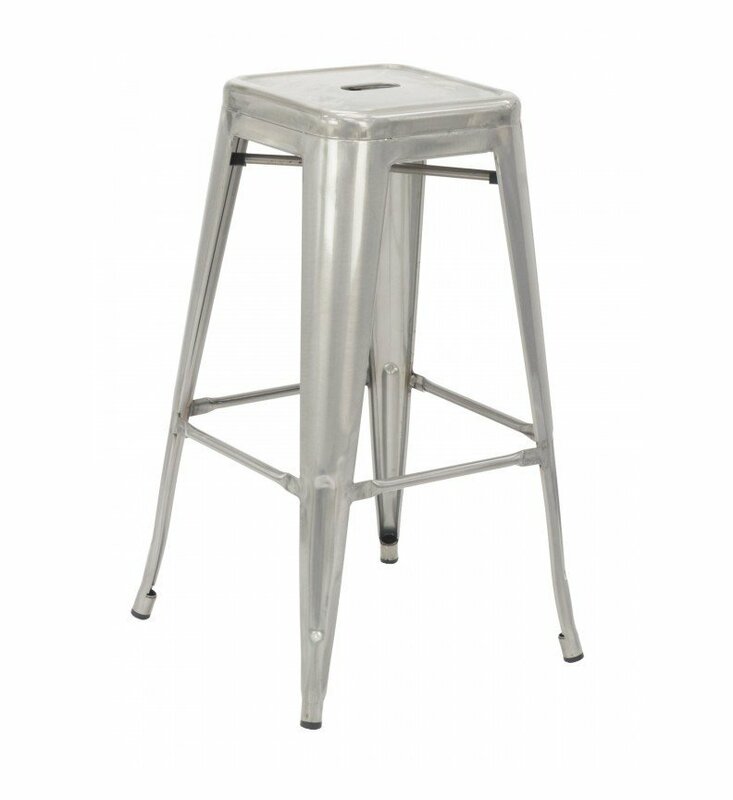 This Industrial interior metal bar stool is made from sheet steel and coated with either a clear epoxy varnish or powder-coated finish. Featuring an industrial barstool design with a convenient footrest that will have patrons staying for another round of drinks. Includes rubber floor glides to protect the floor from damage. 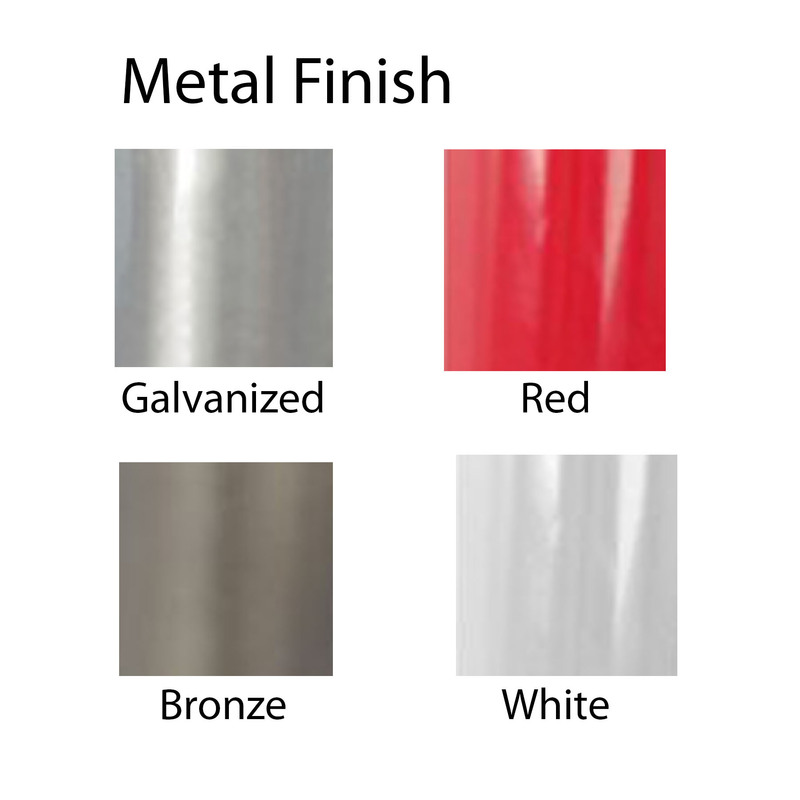 Choose between the bronze, red, white or galvanized frame colors to enhance the style of your contemporary bistro, cafe, or nightclub. 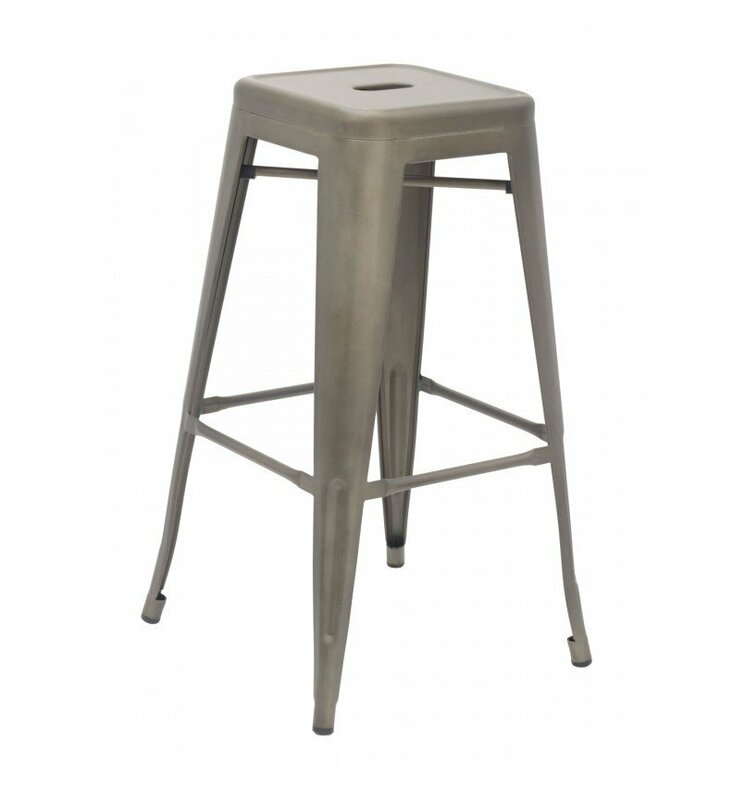 Our industrial metal stools are built to last and come with a 2-year commercial warranty. 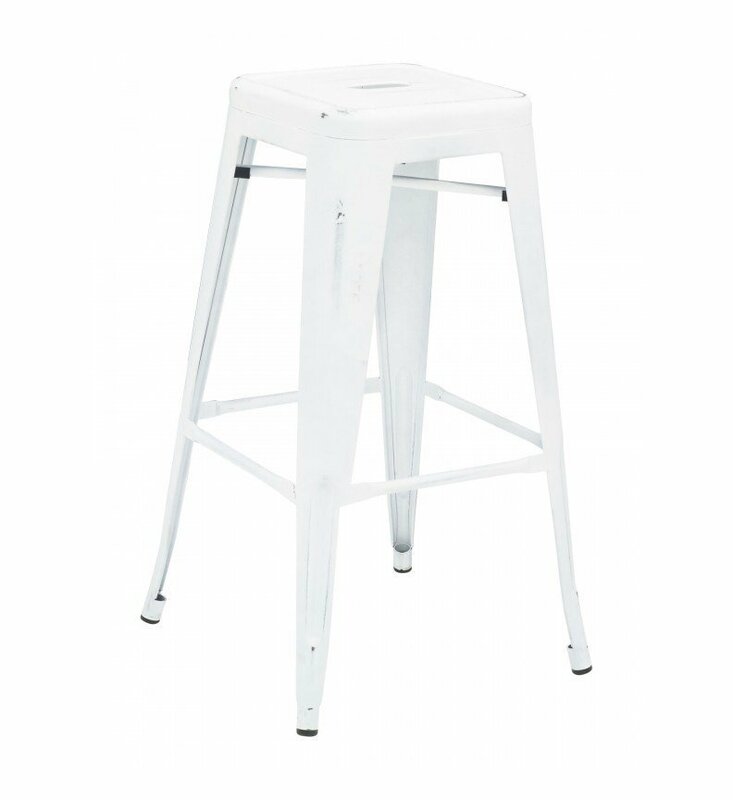 *Wooden seats can be upgraded for a small upcharge. Call us for further details. • Dimension: W 12" x D 12" x H 30"